For more than half a century, Long Islanders and visitors to the area have been dancing in the aisles at the Jones Beach Theater. Despite numerous renovations, expansions and name changes, the theater has maintained its identity as, arguably, the most popular entertainment venue on Long Island, attracting thousands of the world’s top award-winning performers and millions of visitors. Not only does the venue offer visitors a state-of-the-art outdoor viewing arena with 15,000 seats, the theater is located within one of Long Island’s most-visited Atlantic beach parks. Visitors enjoy the combination of amazing music and the area’s beautiful summer weather, featuring cool ocean breezes and brilliant sunsets. Following the post-Hurricane Sandy renovations in 2013, visitors can now enjoy alcoholic beverages at the backstage Oasis Bar. 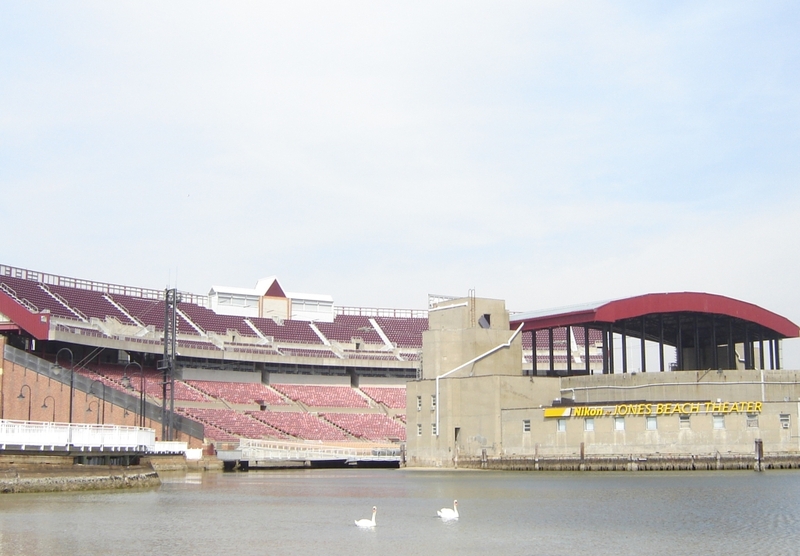 The Northwell Health at Jones Beach Theater, less than an hour from New York City and eastern Suffolk County, is easily accessible via the Meadowbrook or Ocean Parkway, as well as the Jones Beach Causeway. On-site parking makes visiting this beautiful theater completely stress-free. But, don’t just take our word for it--check out a show at Jones Beach Theater this summer and see for yourself what Long Islanders have been raving about for decades! It looks like a ton of great events will be coming to Jones Beach in 2019 and we've got the scoop for you right here! Check back regularly, as we'll be adding more events as they're announced! More Events To Come! Be Sure To Check Back! and to see who's performing this year! Photo by R. Sullivan via WikiCommons. (CC BY-SA 3.0).